Volvo Laplander L3314 is the base model of a range of military vehicles produced by Volvo. In the early 1950s Volvo got an order to develop a new utility vehicle for the Swedish Army. A pre-run series of 90 vehicles, named L2304 was delivered between 1959 and 1961. It was powered by the Volvo B16 engine. In 1963 full scale deliveries of the somewhat improved L3314 begun. The L3314 was powered by the 1.8L B18. The L33-series was offered in different body-variants such as hard-top, half-cab, soft-top, or special versions, mounting anti-tank weapons. All cars are forward control except the open L3304. 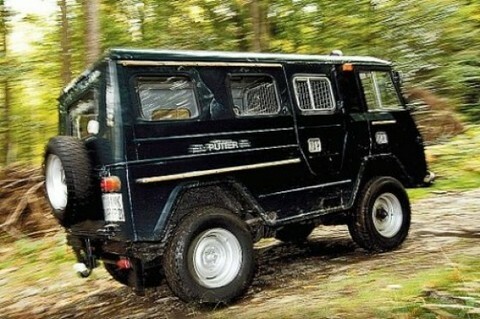 The base version was L3314SU, soft top. Other versions was L3314HT with hardtop and mechanical winch, L3304 anti-tank gun car and L3315 communications with shielded 24V system. 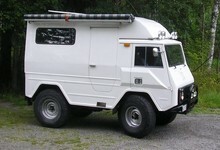 In the late 1970s the L3314 was succeeded by the Volvo C303. In 1977 an upgraded version of the L3314 was offered on the civilian market as the C202. It was a hard-top with the stronger B20 engine instead of the B18 but weaker axles and no differential brake. The C202 was manufactured in Hungary as a cheaper alternative to the rather expensive C303. Civilian versions of the L3314 series, as well as the C202, are often called the Volvo Laplander.